London 2017 Ltd has named the children’s education charity, Right To Play as its charity partner for the IAAF World Championships. Right To Play uses sport and play to improve the lives of vulnerable children in some of the world’s poorest communities. 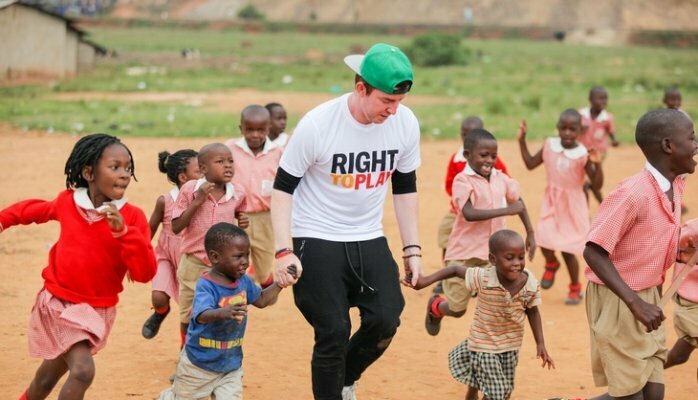 Already a charity partner to British Athletics, Right To Play inspires athletics fans to give children around the world a sporting chance in life. London 2017 Ltd and Right To Play are teaming up to show the positive impact that sport and play can have on young lives, and to raise awareness and funds for Right To Play’s work. Our goal is to raise enough money over the course of the Championships to reach 100,000 children with Right To Play programmes. The IAAF World Championships London 2017 (4-13 August) are hosted in London this summer, with 2,000 athletes from 200 countries set to compete.